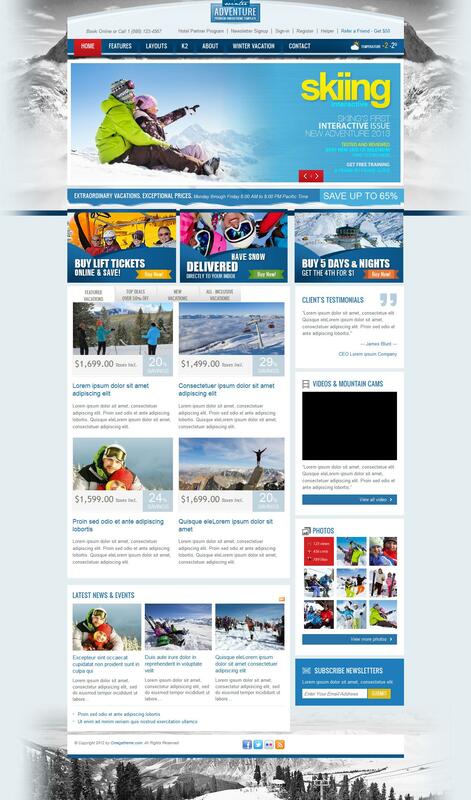 OT Winter - a universal template for sites running Joomla 2.5 developers OmegaTheme. This template can be used both online store based component VirtueMart, and a coach or sports portal, thanks to the support component K2. Corporate framework Solid Framework template gives good optimization, fast page loading speed and support for mobile devices. Built on top of the rotator template Hot Effects Rotator will display all the important information on the site.